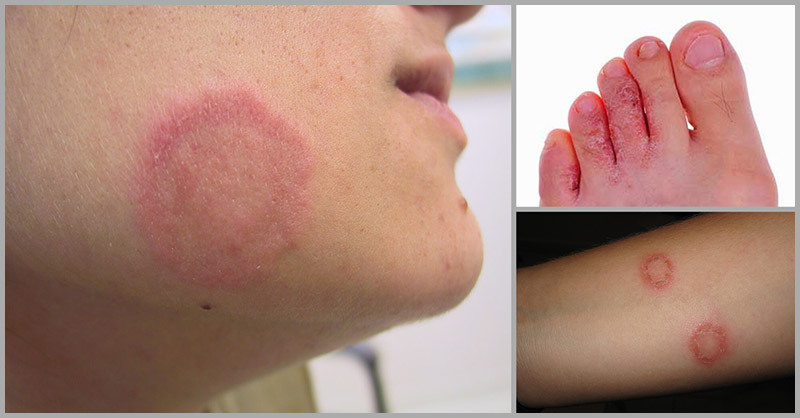 Ringworm is a highly contagious form of skin fungus. A lot of people visit the doctor annually with concerns regarding ringworm. Here is the list of remedies you can try at home if you should ever come across this kind of skin disease. Garlic is commonly used in treating infections. Aside from being an effective remedy against ringworm, garlic also works wonders against Candida, Cryptococcus, Torulopsis, and Trichophyton. You can apply the raw garlic directly on the fungus. Or you can mix the garlic paste with olive oil or coconut oil and then, apply it on the infected area using a cotton ball. Keep it on for 2 hours before you rinse it off. Repeat it twice daily, until you see improvement. Turmeric is known for its anti-inflammatory properties and its curcumin component have anti-microbial properties. Consume turmeric tea regularly or use it in your meal preparation. You can also apply it directly to be more effective. Make a paste by mixing it with water or coconut oil and apply it on the infected area. Neem extract is capable of removing major dermophytes and pathogens from your skin. Boil the neem leaves in water for a few minutes. Use the water to wash the infected area. Do not boil it for too long or use the neem leaves directly on the infection as it might cause irritation on the skin. Apple Cider Vinegar (ACV) has antifungal properties that can help treat the itchiness and dryness of your ringworm. It also regulates the yeast growth by neutralizing the pH. Soak a cotton in the apple cider vinegar and apply in on the infected area. Rinse it off after 15 minutes. Do these three times daily until you achieve your desired results. Certain amounts of fatty acids are found in coconut oil, and this can help with the infection by damaging the cell membranes of the fungus. Coconut oil is effective only in mild and moderate skin infections. Apply the coconut oil to the infected area thrice a day. You can continue using it for some weeks even after the infection is gone. Applying the coconut oil as a moisturizer may be an effective way to prevent any future infections. Tea tree oil has antibacterial and anti-fungal properties. It detoxifies the infected area and reduces inflammation thus making it an effective treatment against fungal infection. Make a 2% dilution of tea tree oil with coconut oil. Apply it 3 times daily to the infected area. Note: You can use it directly on the infected area if you do not have sensitive skin. Oregano oil contains carvacrol and thymol that can stop the growth of fungus. Apply a diluted oregano oil on the affected area. Do this thrice a day. Note: Make sure you get wild oregano oil since a majority of the oregano oil on the market has common oregano. Try to avoid places like changing rooms and communal showers. If you don’t have a choice, make sure that you wear appropriate footwear. As much as possible, keep your skin dry and clean. Use a soft towel to clean it and avoid using the same towel again on any other body parts. When you’re infected, refrain from using perfumes or washing agents on your clothes as they might irritate your skin even more. Put handmade cotton pads between the thighs or under the armpits in case you can’t avoid wearing tight jeans or suitable fabric. It reduces the friction and irritation. Avoid any sort of scratching on the infected are since it worsens the infection. paano po pag sa vaginal area nagkararoon ng ringworm?